Look and feel of the application and reports AcclaimIP generates. Search options tabs available to you by default. Default window size to accommodate different screen sizes. Change which data render and in which order they appear by default. Set the idle time before AcclaimIP automatically logs you out and terminates your session. The number of Preferences you can set has been reduced in the last couple of years. We are moving to a more efficient model where the last configuration set in the UI becomes your new default. For example you search on just EP patents, the next time you open the Search window, EP will be the new default collection, since that was your last setting in the Countries/Authorities field. 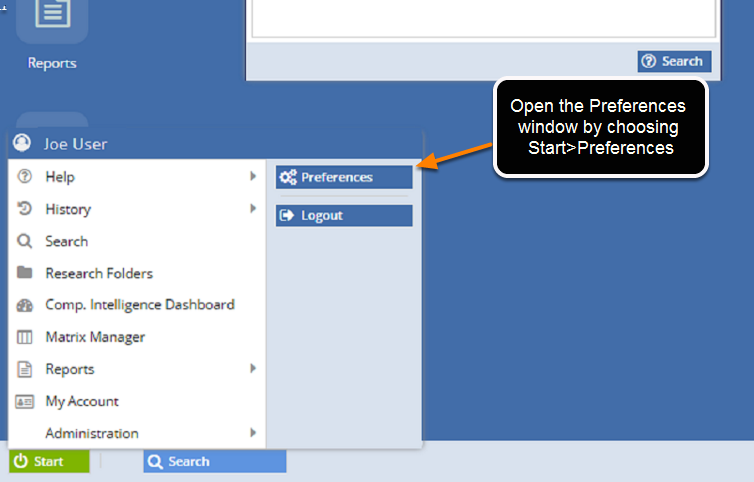 Access your preferences by choosing the Preferences option from the Start menu. 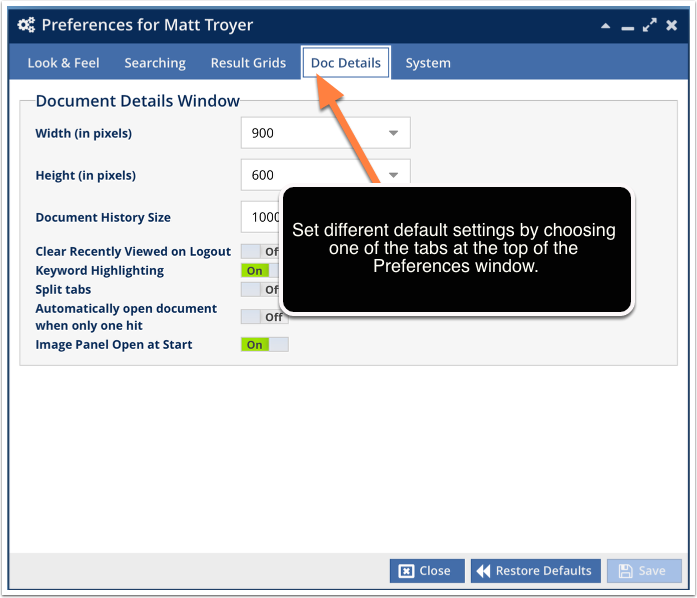 The Preferences window is organized by a series of tabs that cover different sections of the application. 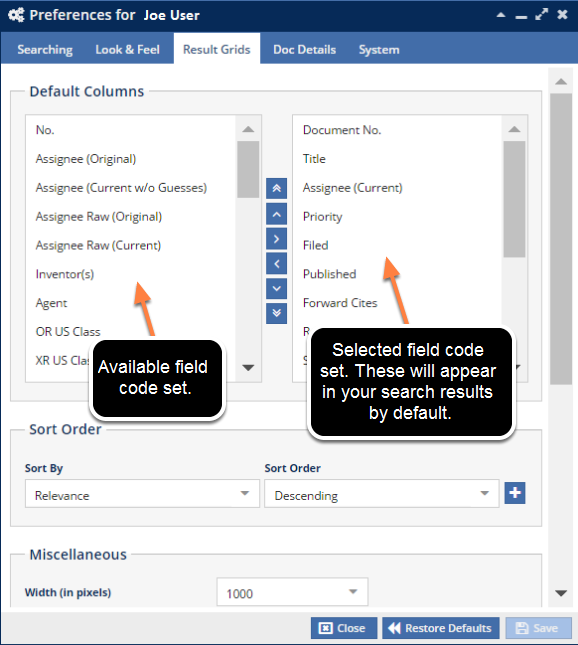 AcclaimIP lets you determine which columns appear by default when you execute a search. AcclaimIP has over 70 (and growing) columns which can appear in your search results. Most searchers want to see from 6 to 10 columns depending on the type of search they are doing. Notice the left column above displays the available field codes which will vary depending on the type of plan you purchased. If you want them to appear in your search results by default, drag and drop them into the box on the right. You can add more than one at a time by using the shift or control key and highlighting more than one before you add them. Within the selected field set, change the order in which the columns appear by dragging and dropping. You must click Save in order for the changes you have made to your defaults to take effect. Clicking Close without saving your new preferences will keep your previous preferences intact.